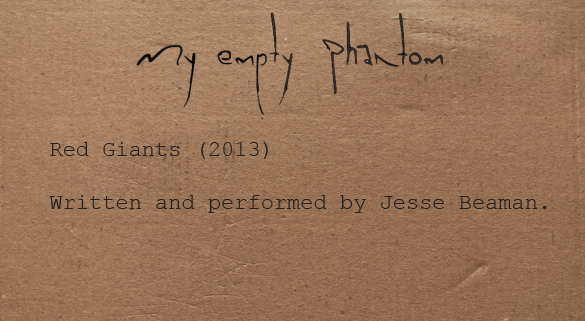 My Empty Phantom is the main musical project of Jesse Beaman, an Austin, TX based multi-instrumentalist and composer. Using guitar, piano, drums and a series of loop and effect pedals, he creates songs that start with simple melodies and grow –layer after layer– into beautiful epic atmospheres. As My Empty Phantom, Jesse has toured extensively across The United States, Europe and Australia. He has shared the stage with relevant artists like CocoRosie, This Will Destroy You, White Denim and Julianna Barwick. Recently he has found a second creative home in Mexico City, where he plays and records regularly. After years of performing, earning a cult following and perfecting his sound, My Empty Phantom released his long awaited debut album Collection Of Memories Vol. 1 in 2016. Having worked in other impressive projects, such as composing music for National Geographic, Jesse doesn’t hesitate to say: “This album is my best work as an artist, period”. That’s true but it’s also an understatement. He is creating music than can dissolve thoughts and transport you to a place where there is nothing more than sound and space.